Craig Harper carried out his undergraduate training at Birmingham Dental Hospital, qualifying in 1982. He became a Fellow of the Royal College of Surgeons in 1986 and gained experience in the fields of oral and maxillofacial surgery, oral medicine, orthodontics, restorative dentistry and implantology in the hospital setting and general practice prior to undertaking specialist orthodontic training at Guy’s Hospital. He attained his MSC, DOrth and MOrth in 1991, accrediting as a Consultant orthodontist in 1995. He worked at the Royal Berkshire and West Berkshire Community Hospitals from 1996 until 2013 where he educated postgraduate students, treated complex cases, advised referring practitioners and was involved in cleft lip and palate and surgical cases. 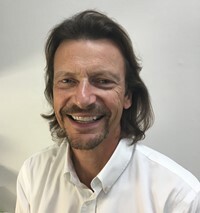 Craig, orthodontist Newbury, is a partner at The Briars specialising in adult orthodontics and multi-disciplinary cases. On a personal level Craig Harper lives in Berkshire with his wife and two young children.